Courtesy of Previews World and bleedingcool.com we have the upcoming releases for the first month of 2019. By this date, the IDW Transformers Universe finally came to an end, so the list is short this time. 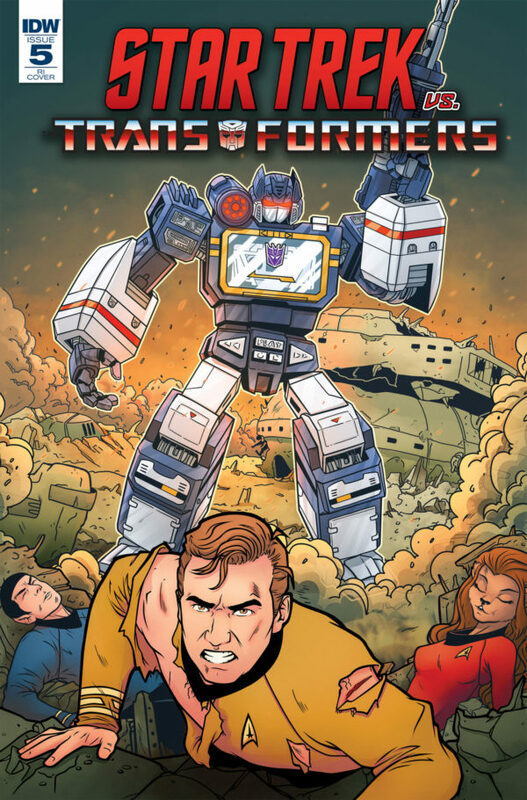 Transformers is present with the Star Trek Vs Transformers crossover, bringing the final issue of this mini-series with Star Trek Vs Transformers #5. But we are not out of transforming robots stories. 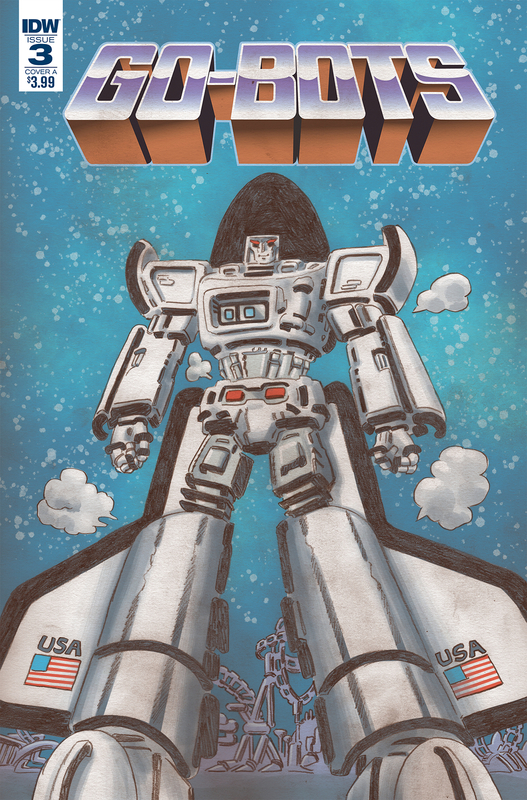 The new Gobots comic will hit comic stores with the Go-Bots #3 issue. The original IDW Transformers universe would be in stores anyway in some way. Lost Light Vol. 4 and Optimus Prime Vol. 5 are listed as an advance solicited for February release. You can check out all of the solicits, together with their excellent cover artwork, attached to this post after the jump. Then, you can sound off on the 2005 Boards! 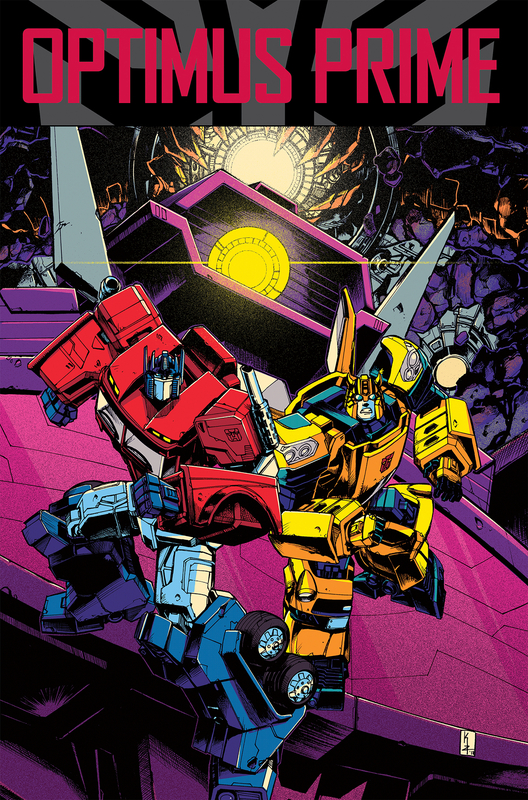 I really hope that cover for Lost Light is only a placeholder, and they use the cover for the final issue that Alex drew. Same! It's a nice cover but it isn't suited as one for the final volume. Either Milne's or Jack's final issue covers would be much better. I feel you, they did the same thing to me with All Hail Megatron. I enjoyed the entire run. And the Barber/Roberts/Scott era. I was especially fond of the Windblade books. Mairghred Scott is thus far, my favorite transformers writer. They killed the continuity that I've loved for the last 13 years. Good bye idw, I have no reason to buy any more of your books. Man, if only the passion that IDW seems to inspire – on both the pro side and the con side – actually translated into sales for their books. I really need to pick up the Star Trek/Transformers book. The GoBots, however, looks like they are indeed not taking ANY aspect of it seriously. I should have expected no less, my only option is to vote with my wallet. He's just mad that someone stole his boxspring and mattress. I should've clarified my post, though. Yes, there has been an agreement between Marvel and IDW for a while now. That said, the partnership has seem to changed in recent times. IDW is losing money. It's only logical to think that Marvel is helping them out… Maybe even considering a full on buyout. Time will tell. One other thing. I think a buyout works for everyone. IDW will still exist as it currently is (maybe some backroom facing changes), but we'll still be getting Transformers comics. I don't understand why that would cause anyone to be upset. Would you rather they go bankrupt? Potentially lose the license entirely? Marvel would be the publishing parent of IDW's books. Whether you guys like it or not this type of consolidation is going to continue to happen within the ever shrinking comics market. A partnership or fullon buyout is a win for IDW. Then congrats on quite literally not knowing what you're talking about, I guess? They've never heard of them, but they think they're drivel. Checks out I guess because that is how things work. Oh, you did? I've never heard of any of that drivel. I listed multiple projects that Scioli wrote as well, including all of his self published books such as American Barbarian and his DC Comics work. He was discussing his writing ability, you discussed his artistic ability. One doesn't equal success in the other. He wrote a long hyperbole filled paragraph asking the heavens how the person could be employed. And I answered; by having a catalogue of well reviewed work. He wasn't talking about the guy's artistic skills. He drew the Eisner Award Winning Godland for Image Comics for 7 years and then published his own critically acclaimed comics online which later were collected in hardcover at IDW. He's done covers for Marvel, Image and DC for years and in 2016 he did the DC Superpowers backup strips in DC's Cave Carson book for their Young Animal imprint. So you know, talented people who produce well-received work often get to make more. 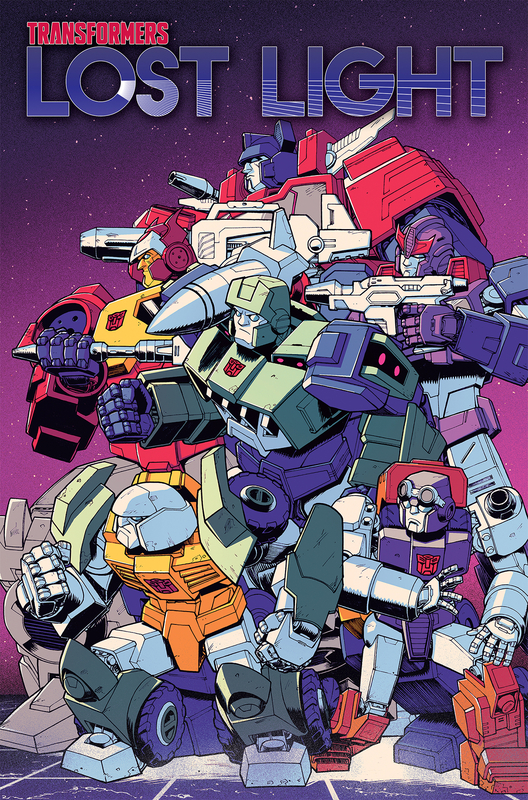 "From the creative mind that brought you IDW’s Transformers vs. G.I. Joe! 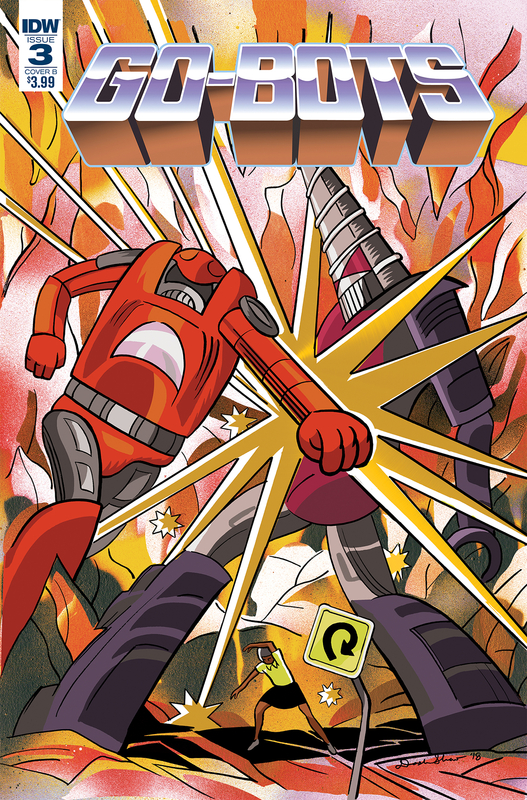 Visionary creator, Tom Scioli, unleashes his imagination on the bizarre, absurd, and wonderful world of Go-Bots!" Visionary? Try "bat-**** insane" maybe. Whose relative is this guy anyway, Chris Ryall's, that he gets to basically do whatever the hell he wants with Hasbro franchises? I checked and he barely did anything (according to wikipedia) before this. The best the article can tell about him is that "he is famous for drawing in Jack Kirby's style". I guess copying the work of someone far more talented than you can get a person far in the comic business these days. IDW created a limited partnership with Marvel. I suspect this is a way to stave off bankruptcy. It'll be interesting to see if this becomes a full buyout. Remember that a lot of people here don't read anything but Transformers, so they don't know that besides IDW's line of Duck (and Mouse) books, Disney has granted IDW licenses for comics based on Star Wars and Marvel Super Heroes. Disney had previously given them the license to Big Hero 6, based on the Disney movie, not the Marvel comic of the same name. Disney has removed that prior version of the property from Marvel's control entirely. It was a very heated spat between Marvel's former EIC that led Disney to look elsewhere for any further comic book adaptions of their properties, especially if they're looking for them to be kid friendly, which is the explicit license for the IDW Star Wars and Marvel titles from IDW. As to IDW's financial state, Disney would need to assume IDW's debt which is larger than their value as a publisher or imprint. Locke and Key is their only IP and that isn't worth the cost of assuming their debts. Licenses would likely not carry over if Disney was to buy them out, so those would need to be renegotiated with the new publishers. Fantagraphics could and likely would handle the majority of the newspaper strip collections that IDW publishes. That's the biggest concern for most people who are interested in comics. It's actually far more likely that just like Star Wars and Disney, Marvel's kids line is with IDW because IDW has proven for decades now that it is much better at selling children's focused comics than Marvel is. In both single issues and collections. Disney stands to make more profit by licencing out to a company than it would publishing a lower selling comic at Marvel and fronting the cost of production themselves. If Disney were to buy IDW that's just more redundancy in owning and taking on the debts and expenses of two comics publishing houses.